The Phoenicians occupied modern day Lebanon from about 1550 BC to 300 BC. They were a trading and seafaring people who left an incredible legacy throughout the Mediterranean basin that persists to this day. Their greatest contribution to humanity was undoubtedly their alphabet. The Phoenician alphabet is considered to be the ancestor of almost all modern alphabets. The Phoenicians were the first state-level society to widely implement a phonetic alphabet, which in turn, extended literacy beyond a narrow caste of priests. It lead to a more democratic and flatter social structure throughout the Mediterranean. This democratization of knowledge in turn inspired the renowned Greek constitutional government and fomented a spectacular leap in literacy and literary production. The oral traditions of Greek mythology began to be transcribed onto Egyptian papyrus, which had an enormous influence on later cultures, namely the Etruscans and Romans. The Phoenicians were in fact the first shipping pioneers to explore beyond the Strait of Gibralter. 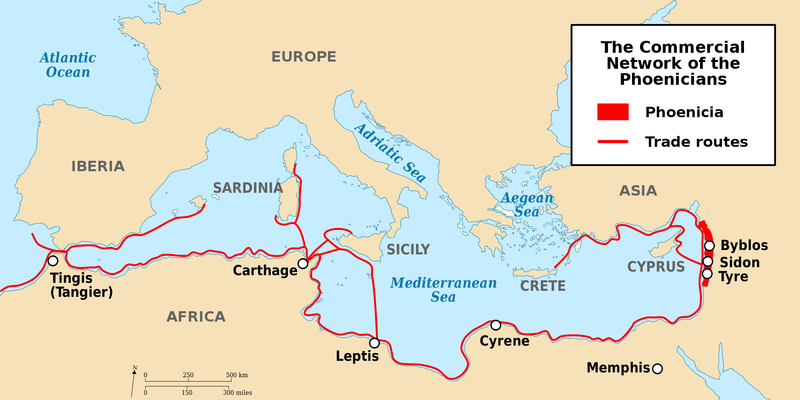 Their commercial network spanned the Mediterranean, where they colonized many outposts, including Carthage. In Carthage, they spoke Punic, a variety of Phoenician language, and became the Roman Empire’s main rival. Rome and Carthage would fight three major battles, known as the Punic Wars, which would eventually determine the course of Western civilization. Hannibal, a Carthaginan commander, lead a successful attack on Rome by crossing the Alps on war elephants. Rome eventually vanquished Carthage and subsumed its territory. The Phoenician influence persisted, both through the Roman Empire, and through successive Middle Eastern civilizations. 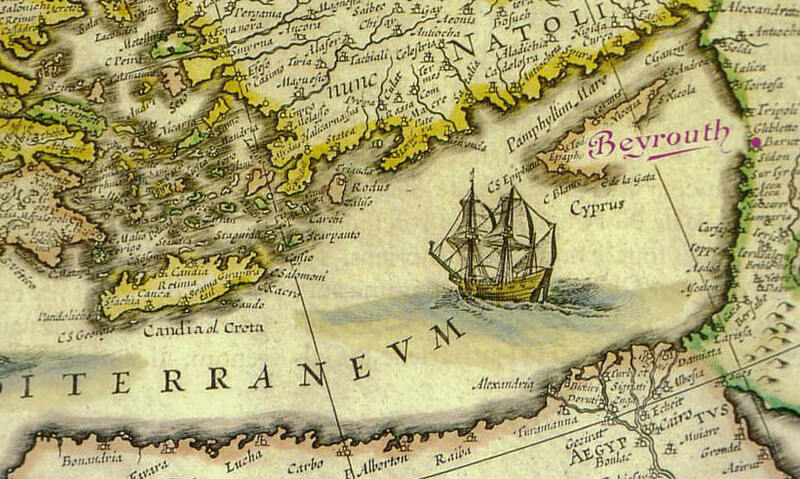 Hebrew and Arabic languages both stem from Phoenician, and Lebanon has inherited Phoenicia’s rich literary tradition. Lebanon, in fact, boasts some of the highest education rates in the region, many of its citizens are trilingual, and Beirut has long been a regional book publishing capital. It is interesting to me how highly valued Greek and Roman cultural output is, while the underlying Phoenician influence is little known. Without the innovative Phoenician alphabet, we might not have Greek and Roman mythology in the canon of Western literature.